Women’s ‘Fox Pouf’ keyring from Kate Spade New York. 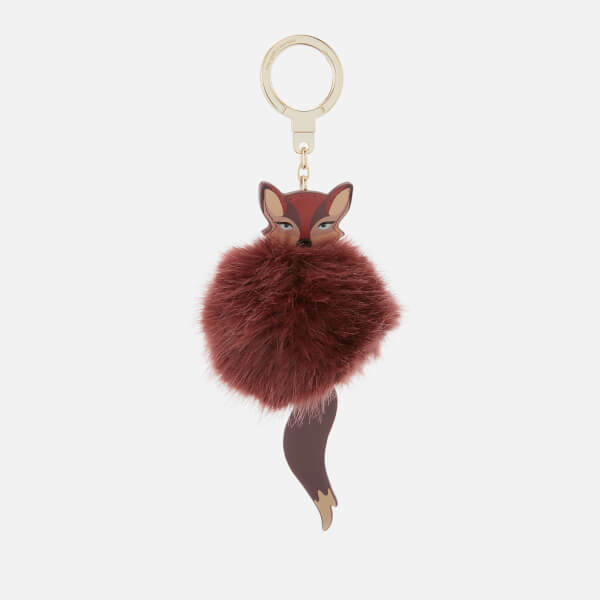 The bag charm comprises a fox head and hanging tail crafted with printed leather, and a body made up of a fluffy fox fur pom pom. 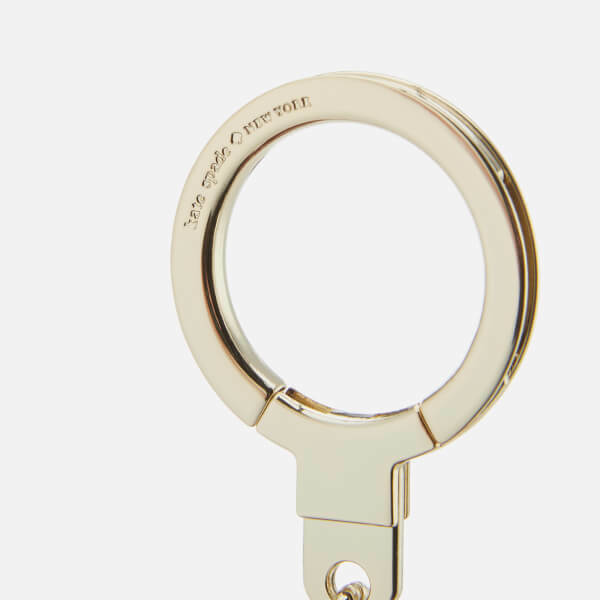 The silver-plated jumpring allows effortless attachment to your keys and accessories. Finished with embossed logo detail.